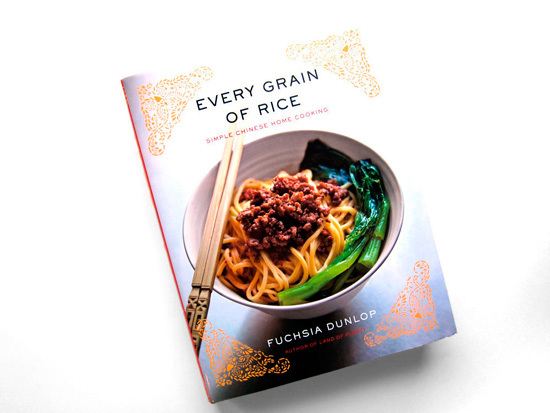 I have been practicing Chinese cuisine with the help of my new cookbook “Every Grain of Rice: Simple Chinese Home Cooking” by Fuchsia Dunlop. So far every recipe has been quite easy to manage and the results have been great. For the past two years my favorite food podcast has been the Splendid Table.Â Even if you are not a big foodie the host Lynne Rossetto Kasper’s laugh and amazing personality is enough to keep your interest.Â And every week she has the fabulous Jane and Michael Stern talk about their Road Food adventures.Â You can download to her very informative podcast here.Â Â She is not to be missed! Happy birthday to Fannie Merritt Farmer (23 March 1857 – 15 January 1915).Â She is know for writing one of the first cookbooks with precise measurements, her basic recipes are still my favorite. 1. Preheat the oven to 375 F.
2. Melt the butter in a heavy-bottomed saucepan. 3. Stir in the flour and cook, stirring constantly, until the paste cooks and bubbles a bit, but don’t let it brown – about 2 minutes. 4. Add the hot milk, continuing to stir as the sauce thickens. Bring it to a boil. 5. Add salt and pepper to taste, lower the heat, and cook, stirring for 2 to 3 minutes more..
6. Stir in cup grated Cheddar cheese during the last 2 minutes of cooking, along with a pinch of cayenne pepper. 8. Butter a 1 -quart casserole. 9. Put the cooked macaroni into the casserole, pour the cheese sauce over it, and mix gently with a fork. 10. Sprinkle the grated cheese evenly over the top and spread the crumbs over the cheese. 11. Bake, uncovered, until the top is golden and the sauce is bubbling, about 30 minutes. Bansky’s mock pet shop in the Village.